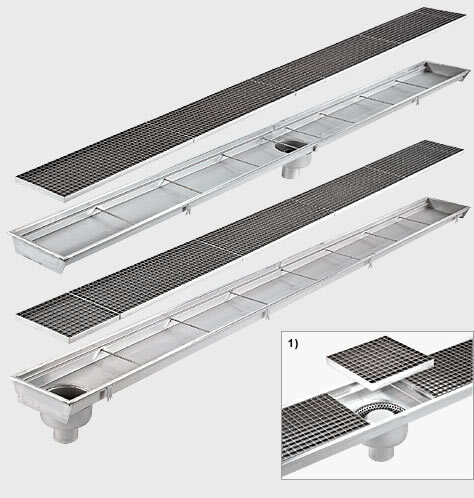 Available with lengths up to 6 m, giving excellent drainage for the food and chemical industries. Longer stretches can be made using the special coupling collars. 1) The central drain is complete with filter trap which makes it easy to remove the waste and prevent unpleasant smells being formed. 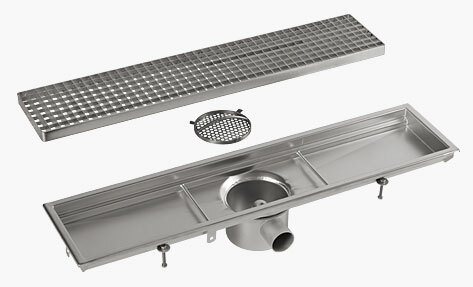 Vertical drain channel complete with filter upstream from the trap, pressure locked pickled and polished grid, entirely made in AISI 304 stainless steel. 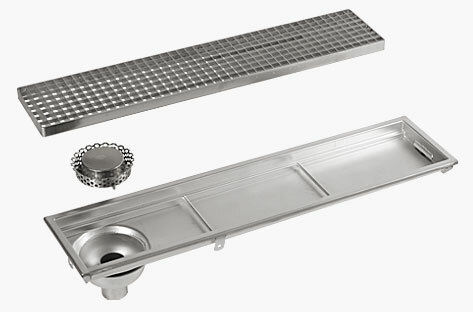 Horizontal drain channel complete with filter trap, pressure locked pickled and polished grid, entirely made in AISI 304 stainless steel.